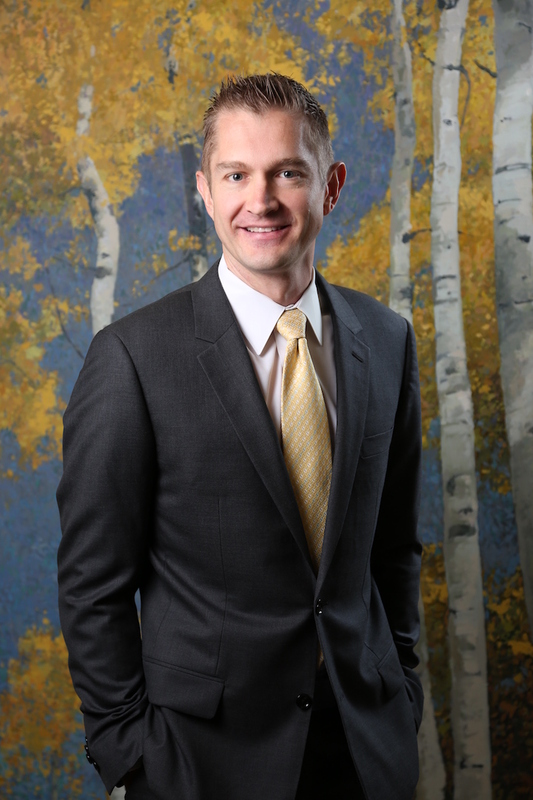 Robert G. Crockett specializes in complex litigation. He has led teams of attorneys in handling complicated litigation matters such as contract disputes, commercial torts, fraud claims, breach of fiduciary duty claims, and LLC and corporate management and membership disputes. Robert has a particular expertise in managing cases with large document productions, using the latest software products that keep costs down. Robert zealously represents his clients in court, but he also strives to put his clients' best interests first. Much of Robert's litigation experience involves real estate. He is experienced in handling easement and boundary disputes, competing title claims, restrictive covenants, commercial landlord-tenant disputes, mechanic’s liens, property damage suits, and construction defect claims. Robert has experience in foreclosures and deficiency lawsuits following foreclosure. At Fabian VanCott, Robert has handled multimillion dollar real property cases on behalf of developers and property owners. Robert has also advised boards of directors of large HOAs and condominium associations in day-to-day management, CC&R and rules drafting and enforcement, and collection and lien enforcement actions. Robert has successfully defended HOA board members against breach of fiduciary and misconduct claims. In the community, Robert serves on the board of the Salt Lake Home Builders Association. He has volunteered as a mediator for Utah’s Small Claims Courts. He has participated in the Young Leaders Mentorship Program of the Urban Land Institute. Robert is a graduate of the Brigham Young University J. Reuben Clark Law School, where he was senior and associate editor on law review. He obtained his bachelor’s degree from the University of California, Berkeley, where he graduated with honors while majoring in history and minoring in Spanish. Robert is admitted to practice in Utah’s state and federal courts. Robert took to trial as lead counsel a deficiency lawsuit following a commercial foreclosure, and reduced a $1 million deficiency claim to less than $250,000. Robert deposed all fact and expert witness, argued the matter at trial, and conducted all direct and cross examination of witnesses. The court substantially reduced the deficiency claim after the opposing party's expert was significantly discredited on cross examination. The judge adopted almost all of the proposed findings of fact and law drafted by Robert. As lead counsel, Robert obtained a dismissal on summary judgment of all claims asserted by a plaintiff seeking to take from his client over 1,500 acres of farmland by adverse possession. In a service contract dispute, Robert, as lead counsel, helped turn a large claim asserted against his client into a favorable settlement that resulted in a large payment to his client. The opposing party was forced to settle after a devastating discovery ruling. Robert's client was sued for an alleged breach of his duties as a manager of an LLC. Robert obtained a dismissal for his client at the outset of the case, without prejudice. The opposing party tried to pursue the same claim again before another judge, and Robert again obtained a dismissal for his client--this time with prejudice. Robert helped obtain a dismissal for his client of a fraudulent transfer claim on summary judgment. Robert drafted the summary judgment motion, and argued the motion in court. A large bank sued Robert's client for alleged failure to repay a decades-old loan. Robert obtained dismissal of the claim on summary judgment, and his client was awarded all of his attorneys fees and costs incurred in defending the lawsuit. Robert obtained for his corporate client a temporary restraining order and preliminary injunction against a former business partner who had violated a separation agreement. The former business partner later asked the judge to lift the injunction by motion, but the judge refused and kept the injunction in force. Robert sued on behalf of his client a municipality over a restrictive deed that attempted to limit his client's ability to sell or lease the property. After losing on a motion to dismiss, the city settled and agreed to remove the restrictive deed. Robert brought suit for his client against a neighboring commercial property owner for the neighbor's trespass onto Robert's client's commercial property. The neighbor countersued for alleged interference with the neighbor's access, on claims of a prescriptive easement, easement by estoppel, and easement by implication. Robert successfully defeated the neighbor's attempt to obtain a preliminary injunction that would have forced his client to allow the neighbor to access the property. Robert assisted in a complete rewrite of a large HOA's CC&Rs and rules, governing hundreds of exclusive mountain lots and homes.